This article looks in-depth at 'vitamin' B-17, its two most common forms - natural amygdalin and synthetic laetrile - the sources, the research, the claims and whether B-17 is a cancer 'cure' or has research to support it as a complementary cancer therapy, or even an alternative cancer therapy. Here we bring you one of the most comprehensive and accurate reviews on the Internet today. (Written by Editor, Chris Woollams, M.A. Oxon, Biochemistry). For 50 years or more the mere mention of B-17 has sparked controversy. Health 'experts' polarise in their views. On one side we have the claims that B-17 can cure cancer and its availability is being suppressed by Big Pharma and their lackies who don't want you to have cheap cancer cures; on the other side the claimants simply say there is no serious research evidence that B-17 can cure cancer, and laetrile is synthetic, therefore a drug, therefore needs a phase III Clinical trial behind it before it can even be considered for a drug licence. That's why its use is banned. But there's something more that fuels the conspiracy theories. The foods containing the highest levels of B-17 are bitter almonds and Apricot Kernals. In America for more than a decade, both have been banned from sale in Natural Food Markets and Health Stores. You can't plant bitter almond trees; you can't ship Apricot Kernels across state borders. in May 2016, the Food Standards Authority (FSA) in the UK talked about banning the sale of Apricot Kernels throughout Britain. And when foods are banned from sale, people can smell a rat. At the same time, the FSA do suggest that 1-2 pips per day is a safe intake, and another FSA article went on to add, ’Bitter apricot pips are thought to contain high levels of B-17, known as laetrile (sic) - described as an immune system booster and even as a cancer treatment’. Bitter apricot pips contain amygdalin, the natural compound; Laetrile is a synthetic alternative made in a Laboratory. So, a Government that puts a potential carcinogen and neurotoxin (fluoride) in our water supplies and allows sodium fluoride (also used as rat poison) in our toothpastes, is going to ban a food they can't even correctly describe? So, let’s get one thing straight upfront: Beware the articles that talk of eating pips and seeds and call the active ingredient Laetrile. The writers are making a fundamental error. How many more will they make? Error-ridden articles and absolute rubbish is the norm, even from supposedly ’top’ cancer websites - the FSA and Cancer Research included.. The natural compound found in Apricot Kernels is amygdalin; Laetrile is a concentrated, synthetic drug made in laboratories. The problem is simple: 'B-17 contains cyanide'. Just look at the molecular structure and you can see it clearly. And both mischievous and/or ignorant people trot this statement out repeatedly to demonise not just amygdalin but all nitrilosides, the relevant food group - there are more than 1200 foods in nature containing nitrilosides and thus 'cyanide'. 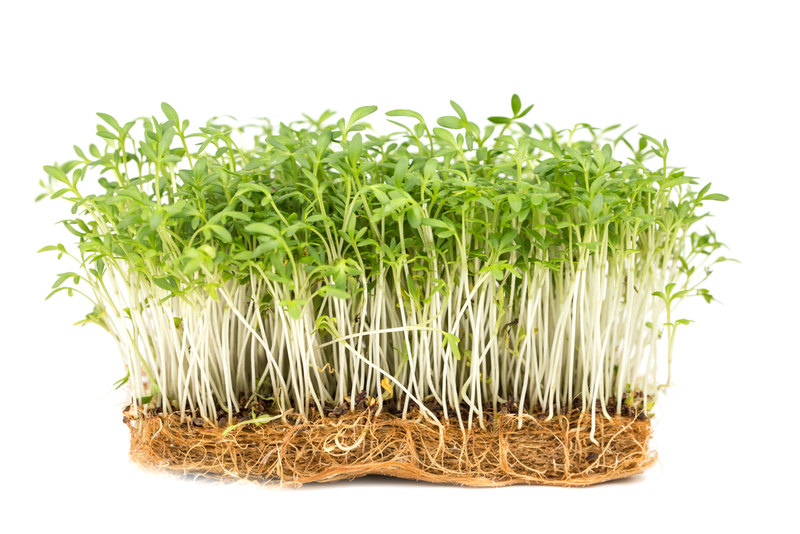 Other foods with high levels are - casava (the third most consumed food in the world), alfalfa, bamboo (people in South East Asia eat large quantities), macademia nuts (watch out Australians), mung beans, lentils (that's the French gone! ), flaxseed, gooseberries, cranberry, chokeberry, crab apple, quince, rasperry, eucalyptus and blackberries found all over the UK on hedgerows. The International Cyanide Management Code states that "Cyanide is produced in the human body and exhaled in extremely low concentrations with each breath. It is also produced by over a thousand plant species including sorghum, bamboo and casava. Relatively low levels can be toxic to humans and wildlife". They then add, "The body has several mechanisms to effectively detoxify cyanide. The majority of cyanide reacts with thiosulfate to produce thiocyanate in reactions catalysed by sulfur transferase enzymes such as rhodanese. It is then excreted in the urine over a number of days". It is important to understand that thiocyanate actually helps the body regulate blood pressure. It is also involved in vitamin B-12 production. In the body, natural B-12 is methyl-cobalamin and is involved in over 300 enzymatic reactions in the healthy body; a deficiency is known to be linked to increased cancer risk. If you have low levels of B-12 and iron, you may be overworked, stressed and suffer lethargy, and a doctor may give you injections of B-12. However, these will be of the cheaper cyano-cobalmin version. Cheap high street brands of B-12 are in the cyano-cobalmin form too. A layman might tell you this ’contains’ cyanide in the same way as people say that about B-17. If a compound 'containing cyanide' is so bad, what is the medical profession doing it injecting it into lethargic pop stars and athletes?? Perhaps now, you can understand a fundamental issue of organic chemistry. A molecule may 'contain cyanide', but it cannot release it unless the animal contains specific enzymes to release the cyanide portion from the whole molecule. Koala bears are not dropping dead out of trees despite eating huge quantities of eucalyptus, pandas seem to thrive on bamboo, nor are blackbirds writhing in agony at the foot of all English hedgerows. And humans do have a detoxification process, as we explained above. Although cyanide can kill humans, in small quantities it can also be useful to the body. B-17: A seek and destroy missile? The metabolism of cancer cells differs considerably from healthy cells. One major difference is the way in which they produce their energy. In a healthy cell, fuel is prepared in the cytoplasm of the cell, and then moved into the mitochondria or power stations to generate energy in the presence of oxygen. But cancer cells have damaged mitochondria and so cancer cells have a whole different energy production system and different set of helper chemicals (enzymes). Glucosidase is one of these enzymes. It is found in extremely low levels in healthy cells - like those in the intestinal lining, liver and kidneys. However, this is not the case in a cancer cell, where glucosidase is present at 3000 times the level found in normal, healthy cells! Glucosidase has a unique action with the B-17 molecule, breaking it down into hydrogen cyanide and benzaldehyde (an analgesic). Benzaldehyde is an analgesic. In other words, the unique biochemistry of a cancer cell causes its death by slitting the amydalin molecule. However, in normal healthy cells where glucosidase is virtually non-existent, a completely different enzyme, rhodanese is present and involved in the normal oxygen-burning process. Also called rhodanase, thiosulfate thiotransferase or thiosulfate cyanide transsulfurase, this enzyme actually renders the B-17 harmless, converting it to thiocyanate, a substance which can helps a healthy body. In other words, the biochemistry of a healthy cell protects it from the dangers of amygdalin. The fact is that nature is full of 'seek and destroy' missiles helping to protect us every day! 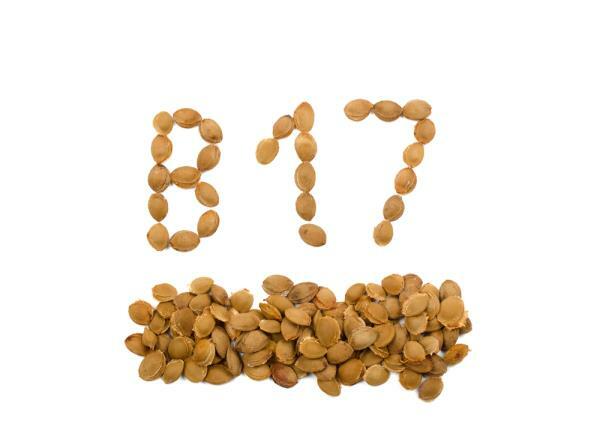 (i) Apricot Kernels can contain up to 3 per cent of amygdalin which is the natural form of B-17. If you chew a pip it tastes rather like old-fashioned marzipan. But then, old fashioned marzipan was made from apricot kernels. It was a traditional food in cakes. Eating apricot kernels does not require any medical approval - nor should it, any more than eating gooseberries or macademia nuts. Yet each can contain as much amygdalin as Apricot Kernels. (ii) Neither B-17 nor amygdalin is a vitamin. Krebs (see below) described it as a vitamin, but there is little evidence of any vitamin properties. (iii) No one has ever died from eating apricot pips according to Contreras, the world’s expert on B-17. He does not treat people with apricot pips and it matters not to him whether they help or hinder. He is providing an unbiased expert opinion. (iv) Apricot pips alone are not a cure for cancer. I know of no one who says they are. They might well perform a role in an anti-cancer complementary treatment package. Eating a few each day may also have some preventative powers. (v) If nitrilosides are so dangerous, why are they used in medicine to treat Sickle Cell Anaemia? Any people have used apricot kernels as part of their cancer-beating package - I know Susan Olifent, who beat her liver and pancreatic tumours more than 5 years ago by doing a Rainbow diet juice fast, along with consuming 30 apricot kernels a day. She has set up a Support group, Active Cancer Support (Click Here), to help people find out more. Geoffrey Boycott, the England Cricket legend, used them as part of his cancer treatment package to beat cancer more than 15 years ago. Then there are 'You Tube' videos often along the lines of ’I beat cancer with vitamin B 17’. For example, Sandi Rog. (But you will find they almost all confuse natural and synthetic B-17.) That doesn’t detract from their belief that B-17 helped them beat their cancer, of course. UK nurses were even told to eat an apricot, then break the nut and eat the pip for health reasons, although I am going back 65 years to when my mother was a nurse. Eating too many Apricot Kernels, or too much beetroot, or too much Asparagus, or drinking too much water will cause negative effects in the body. Amygdalin does cause problems if the liver is impaired; and according to the US Nutrition Almanac you should never eat more than 6 in a 90 minute period, and the maximum in 24 hours is 35. However, some people I know use 50 a day as part of their anti-cancer diet package. See below for liver concerns. Further on, we include some of the research into amygdalin. It is slightly wrong to think of B-17 as a single entity like, say, vitamin C. There is a group of approximately 14 compounds that are water-soluble and found naturally in over 1,200 species of plant in the world. Every area of the world supporting vegetation has such plants. The active ingredients are often described as nitrilosides or beta-cyanogenetic glucosides and there are at least 800 foods common in worldwide diets that are nitrilosidic. the seeds/pips of lemons, limes, cherries, apples, apricots, prunes, plums and pears. In fact, all the foods we don’t eat too much of these days!! The consumption of barley, buckwheat and millet have given way to refined wheats, while pulses like lentils, which accounted for 30 per cent of our protein in 1900, now account for only 2 per cent. Primitive tribes around the world still base their diets around B-17-rich foods. Cassava, papaya, yam, sweet potato in the tropics; unrefined rice in the Far East; seeds and nuts in the Himalayas; the salmon-berry eaten by Eskimos, or the arrowgrass of the arctic tundra feeding the caribou. A typically ignorant exchange happened on February 14th 2006, when the UK’s Daily Mail ran a headline ’Cancer Cures or Quackery?’ under which six alternative practitioners recommended ’alternative’ cancer cures (their words not mine) to a reporter posing as a cancer patient. To quote, ’One therapy was ’B-17 metabolic therapy or laetrile’ (sic). Two UK cancer ’experts’, Professors Ernst and Baum, joined in the fray commenting that there was ’no research to support B-17’, and that B-17 was used ’by a few unscrupulous practitioners across the border in Mexico’. 2. Treating people with Metabolic Therapy is not the same as giving them B-17. Metabolic Therapy refers to a random package of therapies, which this article does not seek to praise or defend. The world famous Oasis of Hope clinic in Mexico uses a variety of therapies including radiotherapy and chemotherapy. And it does use synthetic ’vitamin’ B-17 as a part of a package called Metabolic Therapy, which may also include pancreatic enzymes, ozone therapy, Intravenous Vitamin C and more. Does it work, and if so which bit? Although there is clearly a lot of anecdotal evidence, and I have talked at length with Contreras, himself, no overall report or rigorous data seems to exist for 'Metabolic Therapy' either, sorry. 3. However, I should point out, that the owners of the Oasis of Hope have NOT been chased out of America, nor are they ’unscrupulous’. Dr Francisco Contreras M.D., the son of the founder Dr Ernesto Contreras, and his hospital are in Mexico ... because they are Mexican. The Oasis of Hope advertises in America perfectly legally, and Americans travel to the clinic in Mexico, just as they might go to one in Chicago. By April 14th the UK Food Standards Agency was getting in on the act. UK newspapers published warnings issued by the FSA thus: ’Cancer patients should be aware that Apricot Kernels - a suggested cure for the disease - can kill them’. Apparently, ’Reports from overseas say eating 20-30 could result in very serious health effects’. Note: None of the articles specified the origin and the detail of these ’overseas reports’. There was absolutely no evidence for these claims. Nor any research. This is the sort of mumbo-jumbo that B-17 has been subjected to. You can crack open an apricot nut shell today in the UK - but it is against the law to treat someone with laetrile. Laetrile (the synthetic form of B-17) can be obtained in tablet form (500 mg units) for home consumption, but is more usually administered intravenously. Laetrile prescription is illegal in the UK. No practitioner in the UK has been allowed to prescribe or use synthetic B-17 since June 2004. It has been banned since 1963 in the USA by the FDA; however, some Naturopathic practitioners in the USA seem prepared to sell laetrile to patients; and you can even buy it on Amazon! I have assigned bioactive foods and natural compounds to each of the steps, but only where there is scientific research that they have an anti-cancer step activity. I know of no single natural compound that is active against all 20 steps. No drug cures all cancers, all of the time. There is no drug known to man that kills cancer stem cells at the heart of cancers. Why expect it, or claim it for a vitamin, or B-17? All drugs have side-effects. Those of Tamoxifen are well documented. The lack of proper research on synthetic B-17 (laetrile) has meant no safety measurements really exist. Death claims are twaddle. Nutritionist and scientists alike studied the various tribes. Sir Robert McCarrison in the 1920s and John Dark M.D. twenty years later failed to find a single case of cancer amongst the Hunzas, the tribes of West Pakistan. V Steffanson found the same with the Eskimos and wrote "Cancer: Disease of Civilisation" as a result. Dr. M Navarro of Santo Thomas, University of Manilla, noticed the same with the Philippine population who ate cassava, wild rice, wild beans, berries and fruits of all kinds. Dr. Albert Schweitzer noted the same in Gabon. ’This absence of cancer seemed to be due to the difference of nutrition in the natives compared to the Europeans. Their diet was centred around sorghum, cassava, millet and maize’. Studies of the consumption of B-17 varied from Dark’s finding that the Hunzas consumed at least 150-250mgs per day, to Dean Burke, head of the cytochemistry department of the National Cancer Institute in the USA in the seventies writing that the Modoc Indians in North America consumed over 8,000 mgs per day! (Dean Burke actually gave amygdalin the name B-17). We leave these foods aside at our peril. The World Health Organisation has, after all, confirmed that in their view a large percentage of all cancers could be prevented by simple changes in diet. Amygdalin was first isolated in 1830 and used as an anti-cancer agent in Russia as early as 1845. But it was reborn by the father/son team Ernst Krebs senior and junior by 1955 had who isolated a purified form of the active ingredient (calling it laetrile) and, with others in the late fifties to seventies, sought to explain its action. * At the Pasteur Institute in Paris they gave mice human strains of cancer and 500 mg of amygdalin per kilogram/day of body weight delayed tumour growth and increased survival by up to 100%. * Researchers in Dresden Germany had much the same result giving mice amydalin from 15 days before they were given human cancers. * At the Schind Laboratories in the University of San Francisco, 400 mice given cancer were divided into half test cases and half controls. Again 500mg amygdalin per kilo of body weight per day was used. The mice eating the amygdalin had 80% increased longevity over the controls. More information provided by Dean Burke can be found here. Ralph Moss and Phillip Day seem to be the experts here and they both record that there have been three animal studies and two human studies. Following the Krebs’ work in 1955 a Senate Committee (often accused of being biased presumably because of drug industry connections) seemed unimpressed by evidence presented that three quarters of 80 cancer test patients had seen their cancer tumours go or reduce in size. There was a stab at a clinical trial in the USA and this officially reported no effect with B-17. Moss was the Press officer in the team and showed his disgust at the public hearing, implying that the team had actually found a positive response and the powers that be were mis-representing the findings. He was fired. However, talk to the experts that use B-17 and they will tell you that researching B-17 in a clinical trial is not the issue anyway. None doubts its efficacy, but several felt it was not as potent as other ingredients such as Intravenous, high dose vitamin C. ’B-17 only ’helps’ and is not a ’cure’ per se’, seems to be the general view. The issue, they argue, is to research the whole ’metabolic therapy’ package. The authorities have never done this. The people who use and advocate it simply cannot afford to conduct a full scale clinical trial. Impasse. Why might it be more important to research the whole package? Cancers are clever and often form protective protein coats around the tumour to ward off the immune system. Various cancer clinics have thus developed their metabolic therapy packages to counter defences like these (metabolic therapy packages can contain bromelain, from pineapple and papain, from papaya, because they supposedly break down the protein coat). Other unique factors occur with cancer cells, so the metabolic therapy package may contain vitamins A, E and B complex, plus high dose intravenous vitamin C, high dose minerals, and pancreatic enzymes, each targeting a specific issue. The difficulty then becomes "which bit worked?" Having personally talked to leading B-17 practitioners in the USA and Europe, a few actually answer, ’who cares!’? Actually, I do. Frankly, this is quite important but the answers are unsatisfactory if you are a cancer patient. On different pages we have reviewed the use of intravenous vitamin C megadoses and pancreatic enzyme treatment as used by Dr Gonzalez in his clinic in New York. They do seem to have, albeit limited, effects on their own, so I suppose it is possible that using all of them could have a greater effect. But, be clear, there is NO FORMAL RESEARCH on the metabolic therapy package and in reality it doesn’t even exist as different clinics use different concoctions. Finally, laetrile has shown effectiveness against cancer cells in vitro, and in rats and mice. Interestingly, even the National Cancer Institute in America (which is negative about laetrile’s abilities), reports that by the late seventies over 70,000 cancer patients had been treated with laetrile and that there are copious individual case histories on its effectiveness. (Notwithstanding this, modern medicine demands a phase III clinical trial and there is none). Krebs recommended eating ten apricot seeds per day for life (the seeds or kernels of apricots have the highest levels of B-17; up to 3 per cent); cancer treatments use four to six 500mg tablets of laetrile per day or intravenous injections. B-17: Can it kill me? While there may not actually have been deaths from synthetic B-17 use, there is definitely an issue with overdosing. If you take excess B-17 beware; cyanide by-products have been known to build up in the liver of cancer patients. One woman brought her husband to me for a Personal Prescription. She had him on 2 gm of Laetrile and 2.5 gms of artemisinin a day. His liver was under extreme attack! Each of us has different capacities to deal with such by-products but a cancer patient has an already impaired liver. A healthy liver has an enzyme, glucorinide that can detox the by-products, but in a cancer patient, this enzyme may be depleted. So, cyanide poisoning can result if excess is consumed. 1gm is the maximum recommended to be taken at any one time. With the natural form of B-17, the US Nutrition Almanac recommends a maximum of 35 seeds per day; no more than five kernels at any one time in a 90 minute period. And they conclude that all cancer treatments using B-17 (synthetic, natural, or apricot kernels) should be properly supervised. Certainly, I have seen several prostate cancer patients who looked decidedly yellow all because they were trying to consume 50 kernels for breakfast. Be very, very careful. * Never take more than 5 in a 90 minute period. * Never take more than 35 per day. * Please tell your doctor, and have someone monitor your liver health. B-17: Does it work in cancer treatment? Having read the original research on synthetic B-17 laetrile treatments and spoken to doctors and patients first hand, I find the ’evidence’ both for and against laetrile almost non-existent. I am neither an advocate, nor a critic. I just don’t know, even though I have tried to find out more. The scientific logic on B-17 seems reasonably sensible and certainly pharmaceutical companies are devoting significant resources to targeting exactly the same unique properties of a cancer cell. But, as I repeatedly say, I don’t think any single entity is a ’cure’ for cancer - and that goes for B-17 too. Could it play some or other role in the total package? Experts like Contreras are adamant it can. There are people of You Tube who swear it worked for them. With Apricot Kernels, and amygdalin, for me there is a different issue. I believe everybody should include nitriloside foods in their daily diet. I put five to six kernels with my home-made breakfast each morning, but then I eat copious amounts of food off the B-17 list above anyway. Personally, I believe there is a good prevention argument, and eating half a dozen ’apricot pips’ a day is hardly a dangerous medical issue. If you are thinking of buying Apricot Kernels, you might like to see what is available as the Natural Selection Product of Choice. You can do this by clicking here.